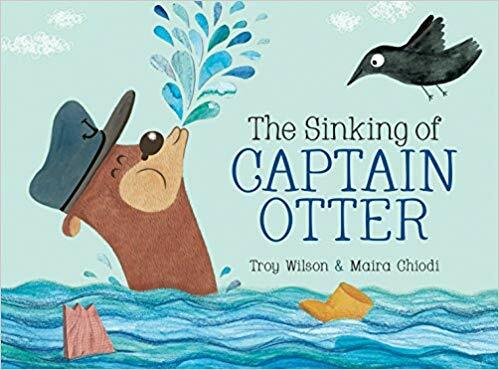 Our friend Troy Wilson, has just written a fun new book called The Sinking of Captain Otter. Let’s find out what grade 1 student Blake thought of it. 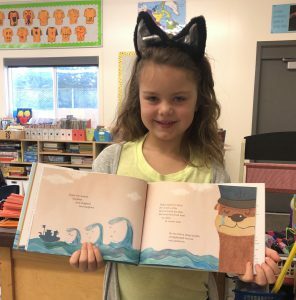 Thanks for sharing your thoughts on this book, Blake! To WIN your own copy of this book send your name and age to chirpblog@owlkids.com or comment on this blog post. For full contest rules and regs click here. Emery, aged 3 would love this book!! Our primary classes loved listening to Troy’s story of how he created Captain Otter when he was in elementary! So glad to see it come to fruition! I have a 6 yr & 4yr old grandchildren who would love to read this book. Would love to read this with my son 🙂 TY!! I would love to read this book because I love to laugh. I once saw an Otter. He was fun and I would like to read about him. It looks great! Thanks for the opportunity! My grandkids would love this one. Callum (5) would love it! My spouse takes care of a number of kids who would love to here this story. Age ranges from 4-6. My son, Osha (age 6), would really like to find out what happens to Captain Otter!